Posted by Pam in KC in 5-patch scraps, UFO Challenge 2011. It happened! I finished two UFOs this month. This baby quilt (about 38″ square) was quick to quilt — once I figured out how I was going to quilt it. The backing is a piece of fabric left over from a dress I made 4 or 5 years ago. The binding was made when I finished the quilt top last August so, I’ll only get to count the backing at the next Stash Report. Since February is a short month, and I still have to my “regular quilting” to do, I hope Judy calls a low number. 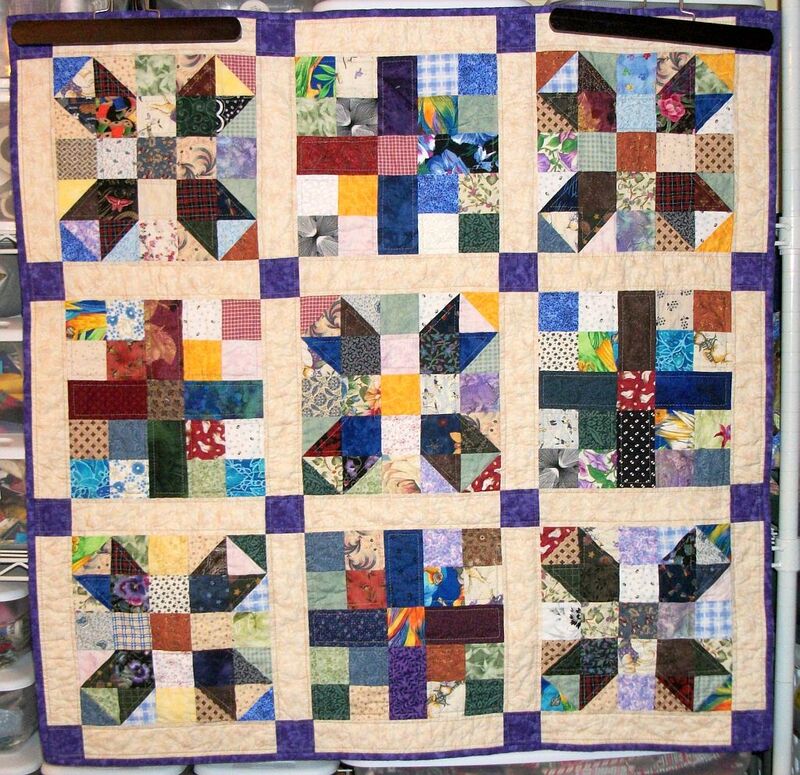 My “regular quilting” for February will consist of resuming the hand quilting on my DWR, and piecing mini-stars for the miniature quilt I’m working on. Smarty pants! I finished two quilts and almost finished the Yellow Challenge, does that count? I didn’t put the pink and white one on the UFO list because it had an earlier deadline. Very sweet baby quilt and I love the back you used. 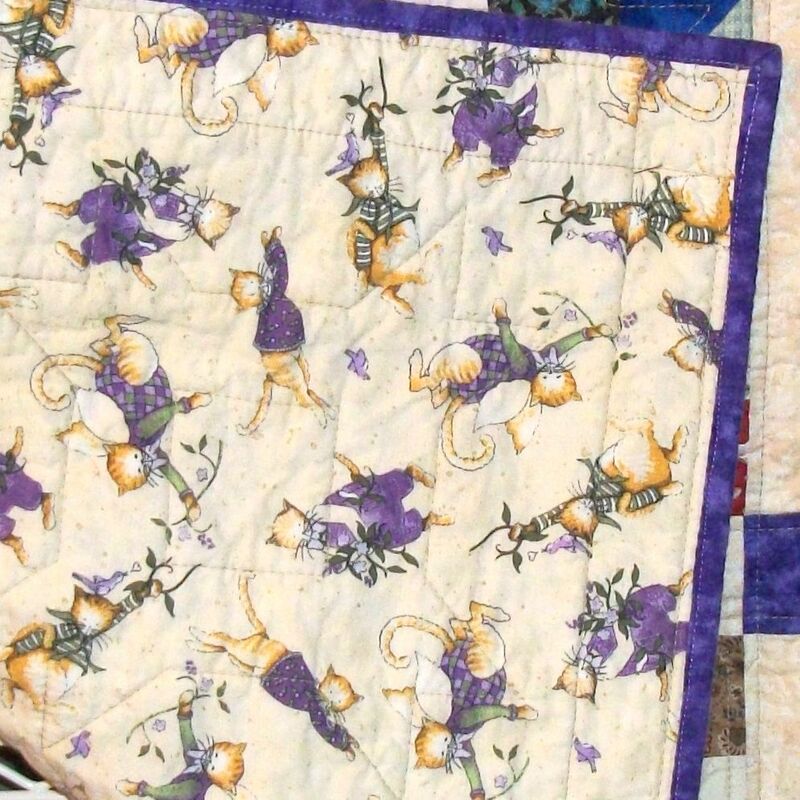 Purple and kitties – two of my favorite things!